When it comes to summer tunes, we have at least two CDs worth of music percolating in our heads at any time. And beer, like music genres, comes in many wonderful flavors. 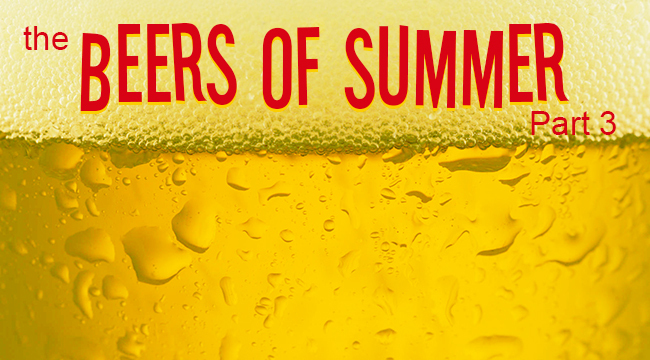 Whopperjaw wanted to know what summer drinking means for people in the beer world, so we asked some pretty knowledgeable folks to offer up a few of their seasonal suggestions. Yep folks, it’s time for The Beers of Summer, Part 3. Hop Back Summer Lightning is “England’s original Golden ale,” McConn writes, “[with a] slight toasted note from the UK pale malt and a terrific moral hop character.” McConn prefers it cask conditioned, natch. Brian Destree, of Capital Brewery in Middletown, Wisconsin, had a little more to say about his favorites. Then, Archer realized he was getting ahead of himself: “I’d better stop before I go on forever,” he writes. Looking for a few more thirst quenchers to beat the heat? 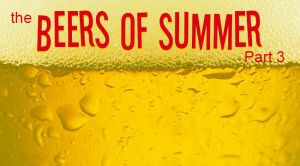 Check out our earlier installments of The Beers of Summer: Part 1 and Part 2.